Recently Intel and AMD announced that they will soon introduce Dual OS systems, which will be having Windows OS and other one is tech-savvy people’s Android OS and also if You want to give a trybefore it arrives in the market then you may run Android on your PC right now, with the help of following applications. With these simple ways you may run android on pc and android apps on your own PC without waiting for ‘Dual OS’ PCs! 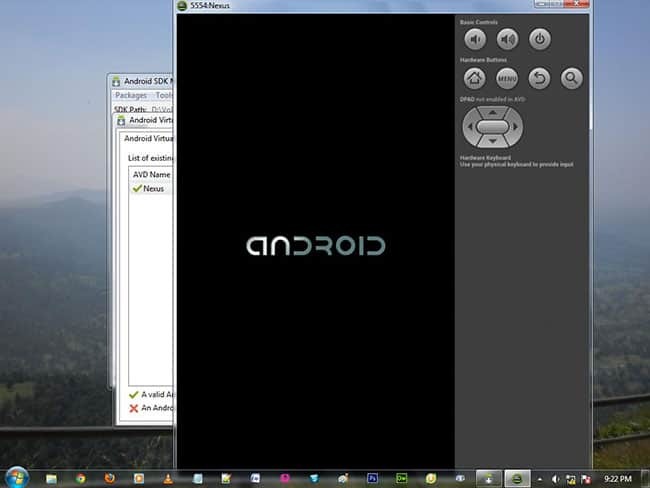 Here we enlisted some easy methods to run Android on PC with different android apps and many things. This software allows you to have android environment so that you can run android apps and even touch based apps on touch-supported screens. Basically if you have a device with android then you won’t be interested to run android on pc but what if you want to test your very own developed app on different devices and also you want to access the apps which are not available for pc users then this will be very beneficial to you. 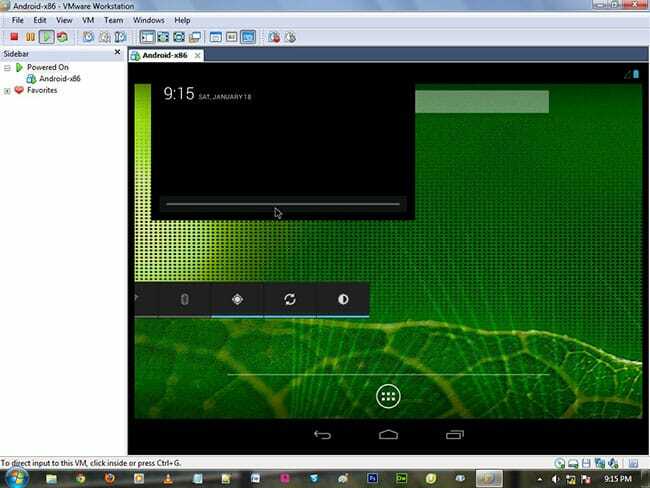 When you download Android SDK, Google provides Android Emulator. You can use this to run android apps and real android os which gives all the facility of android, even you can change Android version in it. But as it created for developers to test their apps, and it needs many setting to do, require more memory to run because it is high end performance emulator, so it is quite hard to use it for daily uses. To get started with it, you have to download Android SDK. Then open the SDK Manager and select Tools > Manage AVDs. Click the New button and create an Android Virtual Device (AVD) with your desired configuration, then select it and click the Start button to launch it. 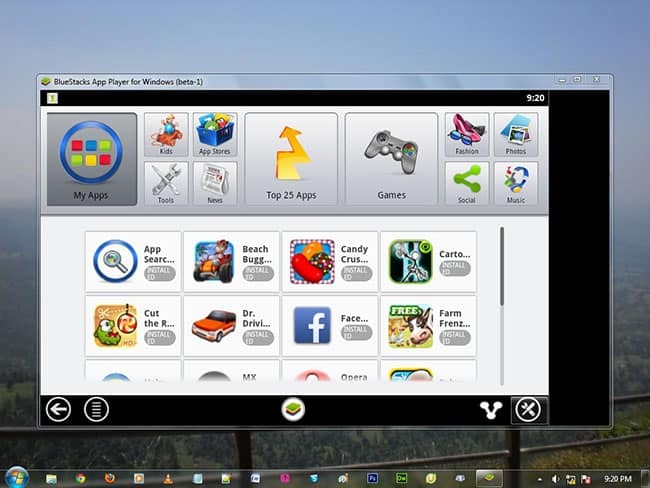 On present day BlueStacks is the best and freeware application / way to run android on Windows environment. 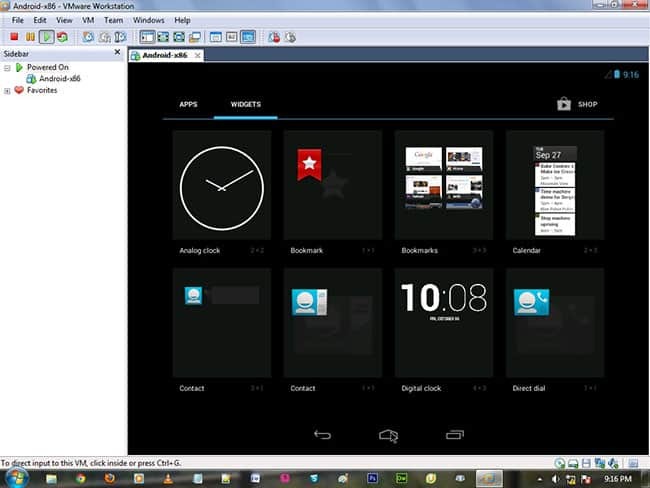 It acts just like simple android emulator. You just need to install it and use it to run your favourite android app in it. It is the simplest way to experience Android on big screen and without any technical knowledge. You can install your favorite apps directly from Google Play Store via BlueStacks and update them to. Android-x86 is huge community, like you remember OSx86 community (which provide MAC on windows hardwar mainly known as “Hackintosh”), which provides Android platform for x86 platform so it can be run on Intel and AMD processors. You can make your system Dual Boot or Just install Android-x86 with help of Virtual Box. Only certain devices are officially supported at this time by the Android-x86 community as they made it for only for limited devices. The official page lists ASUS Eee PCs, the Viewsonic Viewpad 10, Del Inspiron Mini Duo, Samsung Q1U, Viliv S5, and Lenovo ThinkPad x61 Tablet as tested platforms but for more number of devices support you may try virtual box then. Even if the BlueStack is available as best you may give a try to YouWave and Windroy but they lacks some features and also there is problems in speed also. YouWave is slow and supports limited number of apps. Also there are certain limitations such as : Apps that have ARM native code, require Flash, require hardware sensors, or use closed source APIs, are not supported and main thing is that they offer only 10-days free trial and later on, you will be required to purchase the license. Windroy is Android running on Windows kernel! means it does not run by a simulator like VirtualBox. It runs on real machine and so it’s fast! 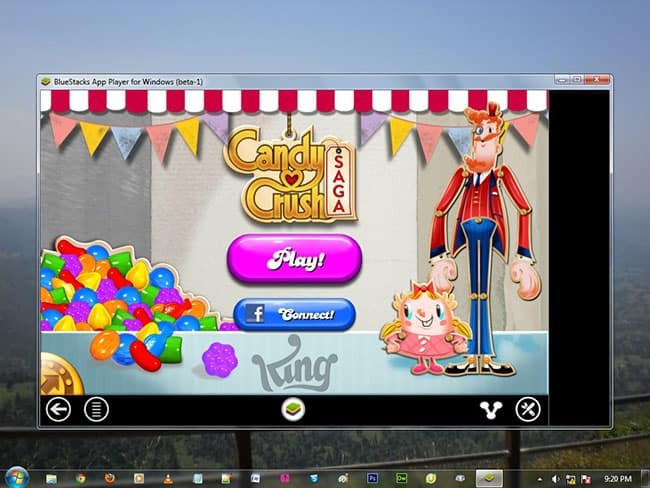 It possess full Android capabilities where you can run all android apps, including 3D games! But be aware before installing on directly machines, because they are not highly stable. 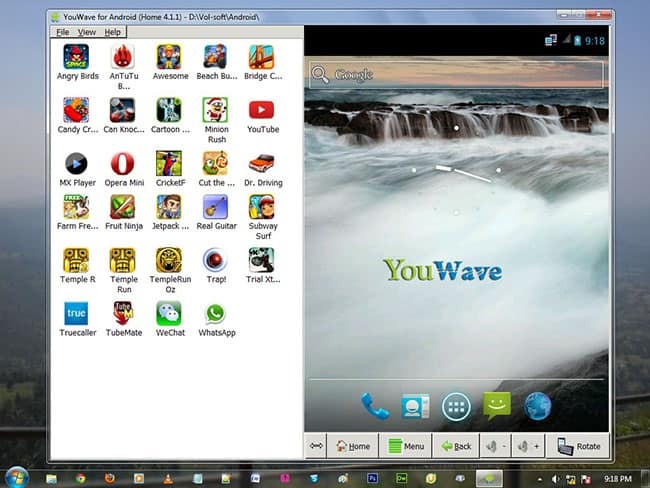 So, we suggest you BlueStacks simplest and easy way to run Android apps on PC. 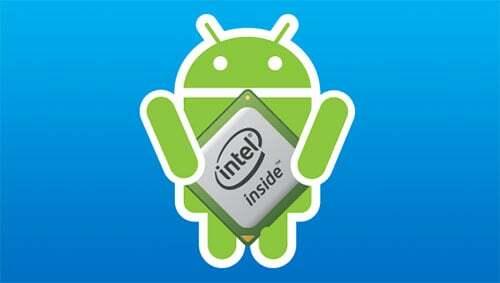 Intel developed their own distribution of android for new Intel-based PCs with UEFI firmware namely called as Android on Intel Architecture or Android–IA which is an open source project. And if you want to install Android on your intel windows 8 device, there is an installer provided by intel. You can use it, installer can ask for if you want to preserve Windows in a dual-boot, so this is a way to dual boot Android and Windows on a new laptop or tablet. This is likely the same thing you’ll find on those new “Dual OS” Intel PCs. This is just initial release it is not highly stable yet. And it isn’t tested on many devices. At the moment, the Samsung XE700T, Acer Iconia W700, and Lenovo X220T and X230T devices appear to be officially supported devices. If you really want to run android apps on your pc without any much complications then just install Bluestacks and enjoy it and if you want to try whole new experience of android on pc with Dual booting or within a simulator then go for Android on Intel Architecture and Android-x86.